Don't Fear Bathing Suit Season, Just Use Accent Skin Firming - Doctor Hermann M.D.,P.A. For those of us in the Tampa, Florida area, beach season is right around the corner! You might be ready for the warm weather, but do you feel ready to bare your skin in a bathing suit? If the idea of walking around in a bikini overwhelms you with anxiety and thoughts of spending the next month living on the treadmill, think again. All you need is an Accent skin firming treatment series. Accent Your Body is a skin firming procedure that tones and tightens the most significant trouble spots on your skin. The Accent technology makes it possible to improve loose, sagging, and cellulite-covered skin by forcing your skin’s collagen to restructure itself in a firmer and tighter arrangement. Since Accent Your Body generates real results, you can enjoy tighter, more contoured skin for years! How Does Accent Your Body Work? 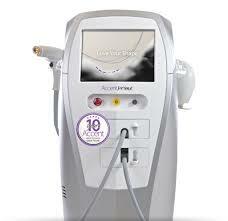 The Accent technology uses radiofrequency energy to create such smooth and attractive results. In a series of six treatments each set two weeks apart, the radiofrequency energy breaks up the collagen fibers under your skin and forces them to restructure in a firmer and tighter arrangement. As a result, common issues like skin wrinkling and cellulite become problems of the past! Unlike a facelift, which is painful, time consuming, and high-risk, an Accent body firming treatment can be completed in just one hour. The only thing that you will feel is a light and pleasant warming sensation as the heat energy penetrates your skin. No pain, no scabbing, and no discoloration! After firming the skin anywhere on your body or face, you can return to your daily routine immediately! For even better results, schedule a facial or other revitalizing procedure that will help to bring even more vitality to your complexion. Just call (813) 773-8214 now to make your appointment at Hermann Wellness in Tampa or St. Petersburg, Florida. You will be able to enjoy the warm weather with total confidence! Myers’ Cocktail: What Does It Do for You?